Even the dog slows down | Musings of a marginally sane feline-appreciating female. I love that everything moves a little slower at the beach, and very few people mind. I know I don’t. Went out yesterday on an trip up to the shops yesterday and being a turnover day, the traffic was bumper to bumper and running about 4 miles an hour. Back home I would have been sorely tempted to get out of my car and punch someone. Here? Roll down the windows and crank up the tunes. The dog even gets it. If he gets on the leash at home, he’s on a near dead run for the first quarter mile. Here we go out for our morning walk and he happily meanders. He stops to literally smell the roses and flowers and whatever that thing was that he then decided to roll in. (Thankfully whatever it was, only he could smell it.) We go whatever direction he wants and it is unhurried and relaxed as he walks along with his eyes wide open and ears straight up, taking in everything. No rush to see that other dog or the little kids coming the other direction – they’ll get to him in good time and he’ll get properly fussed over and told he’s cute. Slow works just fine at the beach. Fast just seems counterproductive. 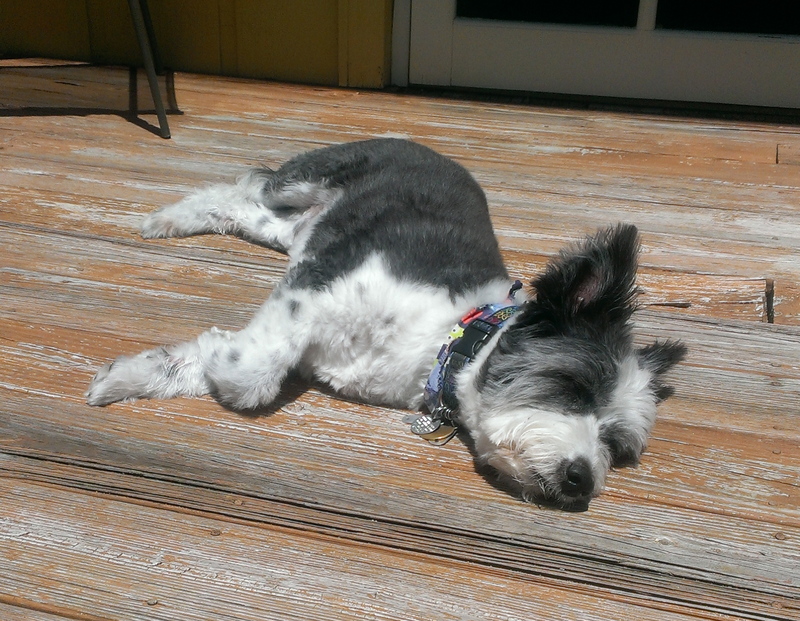 This entry was posted in Beach, Happiness, Moxley, OBX, Pets, Travel and tagged Beach, Happiness, Moxley, OBX, Pets. Bookmark the permalink.